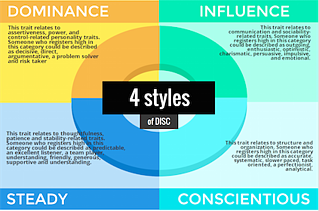 Everybody has a little bit of each DISC personality style within them. And every individual has certain traits that are dominant while other traits rarely present themselves. There is a pretty high likelihood there is at least one adjective in each category that pertains to you. And that’s natural. This works out very well because we need a lot of different people with a lot of different strengths for our society to properly function. Each style’s benefits complement the deficiencies of another..
Amazing things would be accomplished! The world would be comprised of people who are capable of thinking like engineers. This capacity for engaging in a deeper level of analysis and utilizing advanced problem solving skills would yield unprecedented results. C styles are very task oriented, and they produce incomparable results. If everyone in the world had a high C personality, everyone would be a perfectionist. Accuracy would be paramount. All employees would excel at producing works that were of the highest caliber. Phenomenal technological, medical, philosophical, political, and economic advancements would occur. Productivity would continue at a slow and steady pace. Everyone would prefer to work alone, but this would allow them to maintain the focus necessary to create these incredible pieces of work. If all workplaces were comprised entirely of C style personalities, technological advances would be constrained only by the limits of our imaginations. We would be able to create technology that would improve our lives, eradicate diseases, streamline efficiency and eliminate boredom. 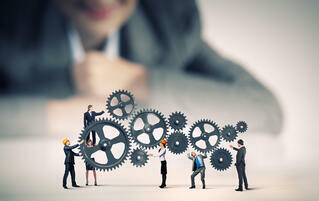 We would be able to generate systems that would allow for efficiency and efficacy in all of our endeavors. Interpersonal relationships would rarely be laced with conflict.. Everyone would be passive, and slow paced. Rarely would a person get agitated enough to raise their voice or yell. Interpersonal communication would be done primarily through electronic means. Email and text would be the primary forms of communication. This would not only serve to ameliorate the social anxiety that many C styles would feel when communicating in person, but to ensure accuracy and accountability. You could be certain what someone had said, because you would have it in writing. And it the world were entirely comprised of C styles, written communication would rarely be brief and would always contain all of the pertinent details. Driving would be a dream. Each C style person would observe all of the rules at all times, because that just makes sense. They would focus on the task at hand (driving) rather than thinking about what they are going to say to so-and-so etc. They would understand how their driving behavior impacts traffic patterns, and would respond accordingly. It would be safe to have self driving cars on the road. They wouldn’t have to compensate for errors in human-driven cars, because there wouldn’t be any. If everyone in the world had a High C style personality and lacked behavioral awareness, everyone would be working like a machine. However, the fact remains that they are still only human. When “perfect” is the only acceptable standard, it leaves very little room for a human being to be a human being. Humans make errors, and in a society that upholds this high of an expectation for accuracy and perfectionism, making an error would be the ultimate taboo. If everyone had a high C personality, they would already possess a highly critical internal monologue. To know that everyone else would be criticizing you, too, would be beyond devastating. Humans need to interact with one another. 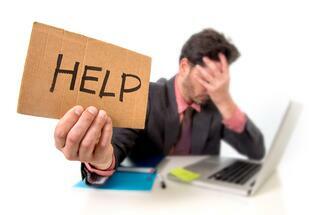 They need to stop focusing on tasks and relax occasionally, and they need to be flexible enough to account for errors and changing circumstances. An all C society wouldn’t leave room for these things. Humans would be too passive to want to confront other people when they aren’t getting what they want, so people wouldn’t communicate about their needs. This would cause them to feel neglected and isolated. Romantic relationships would suffer from a lack of quality time spent together in person. A premium would be placed on being logical over emotional, and this would cause society to place less of a value on romantic relationships. This could cause family life to be a little strained as a consequence. Technological progress would be achieved. But it wouldn’t be done through direct teamwork. People would do intensive research before making decisions on how to proceed. So in a sense, people would be collaborating by building on existing knowledge. However, they would be able to achieve much more if they collaborated directly.